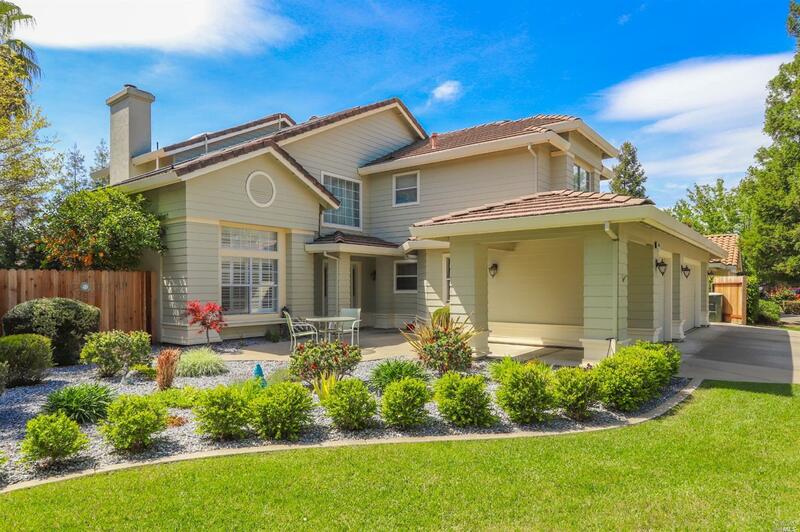 Gorgeous two story home in desirable Vacaville neighborhood! This beauty boasts over 2, 500sqft of living space - 4bdrms (1 on 1st level) & 3 full baths! New carpeting & flooring thru out, updated granite & LED lighting under cabinets in ktchn & laundry. Appliances under 6yo. Garage is newly painted w epoxy floor. Backyard oasis has beautiful in ground pool w/solar heating & a covered patio - perfect for entertaining. Don't miss this one!